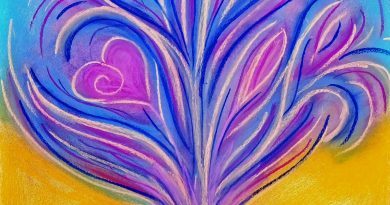 Healing mandalas are designs made with colours and symbols with a function of shifting your energy on a physical, mental, emotional even on the spiritual level by altering your electromagnetic field. Colours are energy waves. To be healthy we need to nourish ourselves with all the 7 colours of the rainbow. 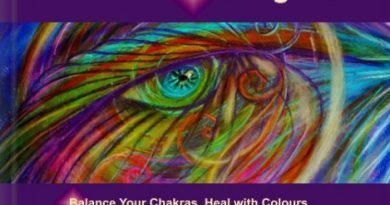 These colours correspond with our 7 energy centres, the chakras and energise or relax us on 4 different levels: physical, mental, emotional and spiritual. Based on Numerology your name is a powerful energy signature. 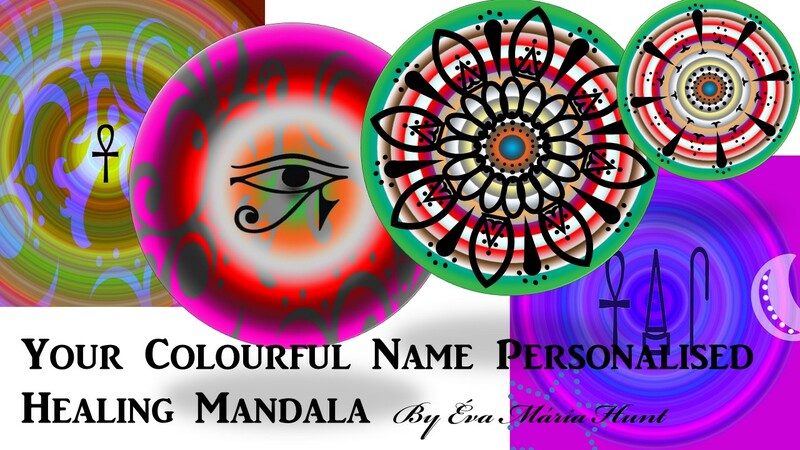 Therefore your mandala can be based on the colour energy of the letters your name holds. How? I “translate” the letters of your full name into colours, so you can nourish your soul with all of these energies to create balance and harmony in your life. When creating these mandalas I mainly focus on the colours. i.e. my Initials: EH translated into colours: Blue and Bright Reds. H – symbolises a ladder, a possibility to go to the top or falling down to the bottom. I did experience very steep ups and downs many times, since I have been given my married name. The energy of the letter suggests that for me it is key to use the opportunities the right way both financially & personality wise to go up on that ladder rather than falling down. It is not an accident mandalas usually come in the shape of a circle. It is the symbol of unity and wholeness. The rectangular helps you grounding your energies. 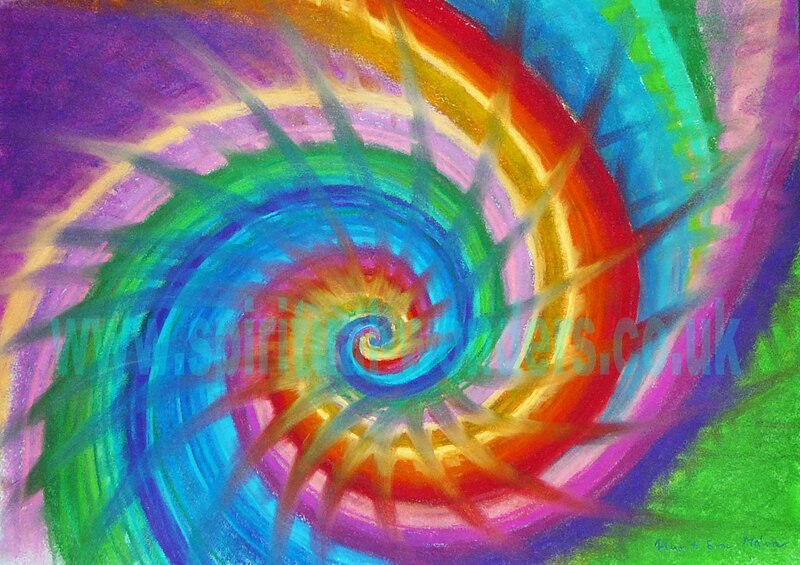 The spiral releases and frees the creative force. Your name holds supportive energies that can vitalise you and relax you, whatever you are in need of. 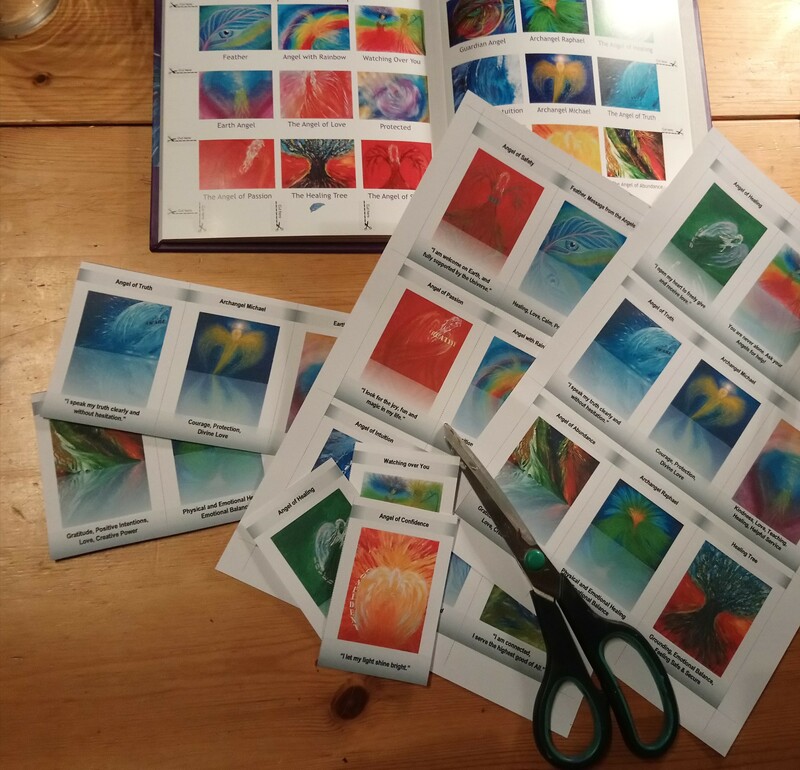 Find out what they look like ,translated into colour energy! You can meditate with your healing mandala to nourish your soul with colours. The more you look at it the better. Your Personalised mandalas can be used as a background or screen saver on your digital devices, so you can enjoy your mandalas supportive energies on the go, when at work or relaxing at home. Alternatively you can print them out to display them as a wall art and hang them in your office or room, where you always see it. As there are hundreds of design possibilities, you can influence it by choosing some options, or you can leave it all to me. I connect with you, have a short consultation with you and then I create what I feel is best supporting you. General healing mandalas can be helpful for anyone. 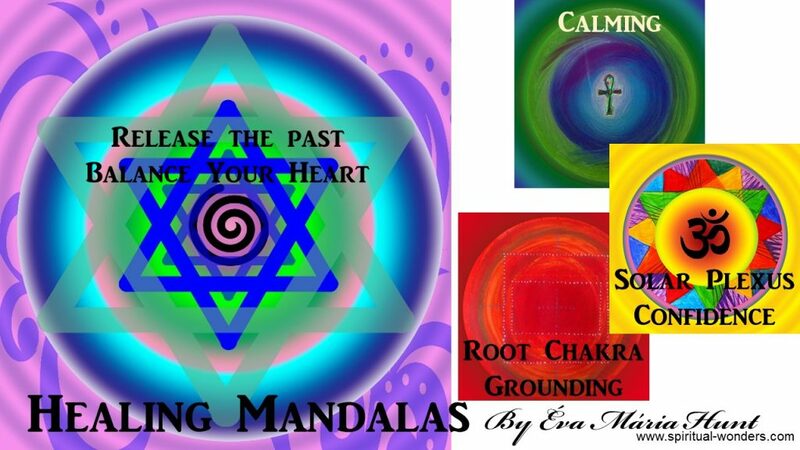 I created a series of them to solve general problems, such as releasing the past and balancing the heart chakra, grounding, calming or confidence strengthening mandalas, etc. 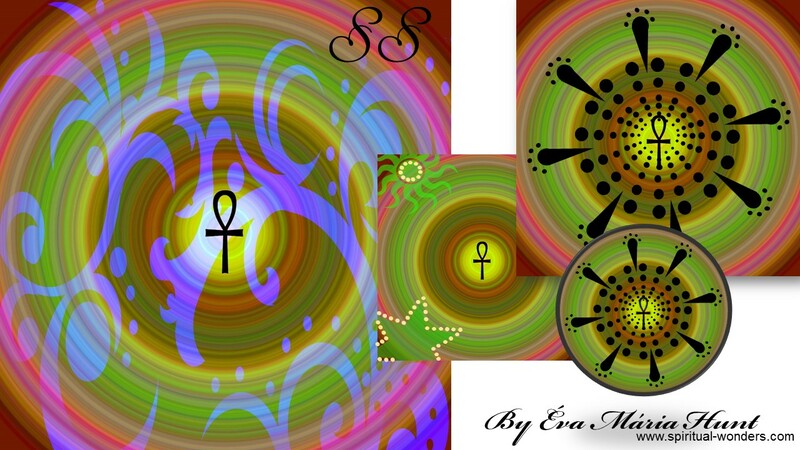 that you can purchase from my shop, Celestial Healing Art on ETSY here. Would you like to surprise your loved ones with their own “Colourful Name Mandala”? It can be done easily too. All I need in this case is the full name of the person the gifts will be given to and maybe an issue the person needs to overcome or an intention from you, so I can choose the appropriate healing symbols. Below you can see variations for the same name, with the Egyptian Ankh healing symbol, which is the symbol of the Life Force, and it gently strengthens the healing energies in the person. ← Love vs. Fear – Raising Consciousness – Part 1.